Week 5 – I missed a week as I went for a short break to Lanzarote for a week, so I am a bit behind. But steaming ahead this week with some cinnamon melts. I never used essence before as I would normally just use ground cinnamon but I sometimes get things like this essence from friends and thought, ok – try it. The smell of the essence isn’t the nicest and the flavour doesn’t come through much after baking, so you would need to use more. I will stick with the ground cinnamon in the future tho. 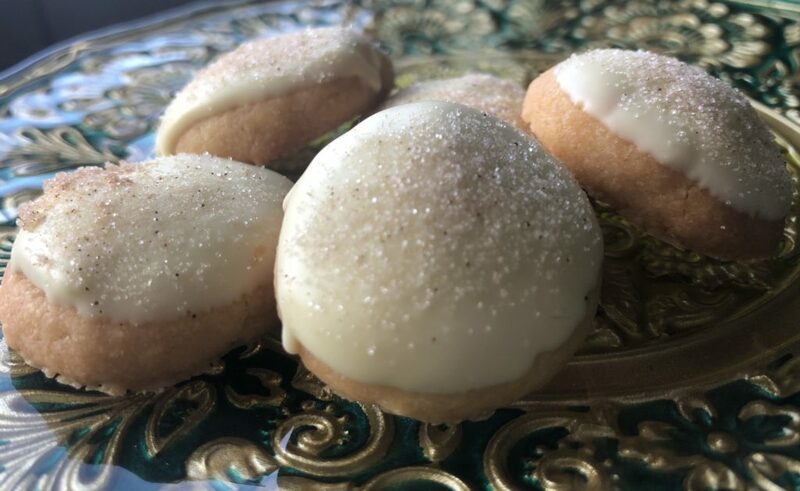 This cookie is simple and easy to make with just three ingredients, plus the flavouring (you could use vanilla etc.). I dipped the top into melted white chocolate and sprinkled a mix of caster sugar and ground cinnamon over the drying chocolate. The texture is firm but lovely. 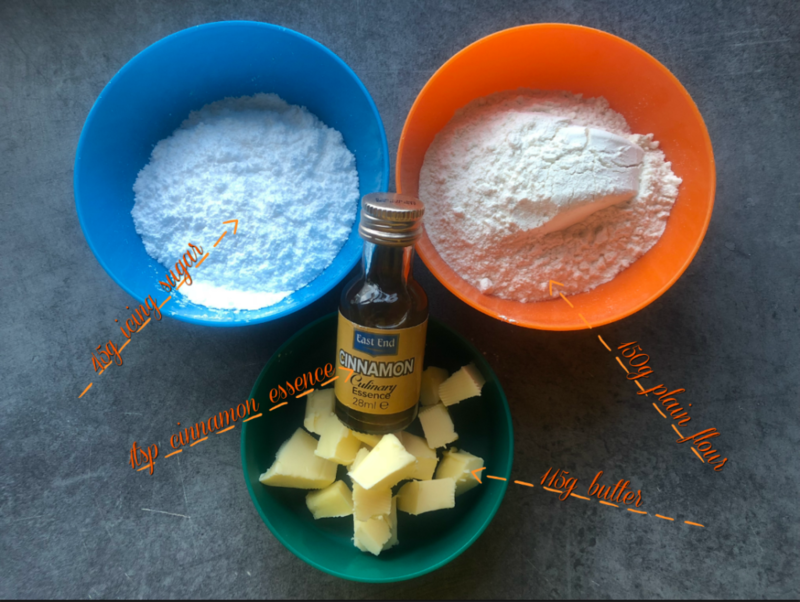 Place the butter and icing sugar in a mixing bowl and whisk until light and fluffy. Add the flour and essence and mix until well combined. Form walnut-size balls from the dough and place on a baking sheet, covered with baking paper. Press down slightly with your fingers. Bake for 15-20 mins until just baked and light golden. Leave to cool on a wired rack. Melt the chocolate over a pot of hot water. Dip in the top on the biscuits and just before the chocolate sets, sprinkle with a caster sugar and ground cinnamon mix. Leave to set completely.